If you are planning to do some testing and pilot with nVIDIA GRID on one of the two major public cloud providers – Microsoft Azure or Amazon Web Services (AWS), which one would you go for? Answer to it really depends on your objective. Competitive or lesser pricing for both windows and linux. This entry was posted in AWS, Azure, GRID and tagged AWS, Azure, GRID, NVIDIA. Bookmark the permalink. 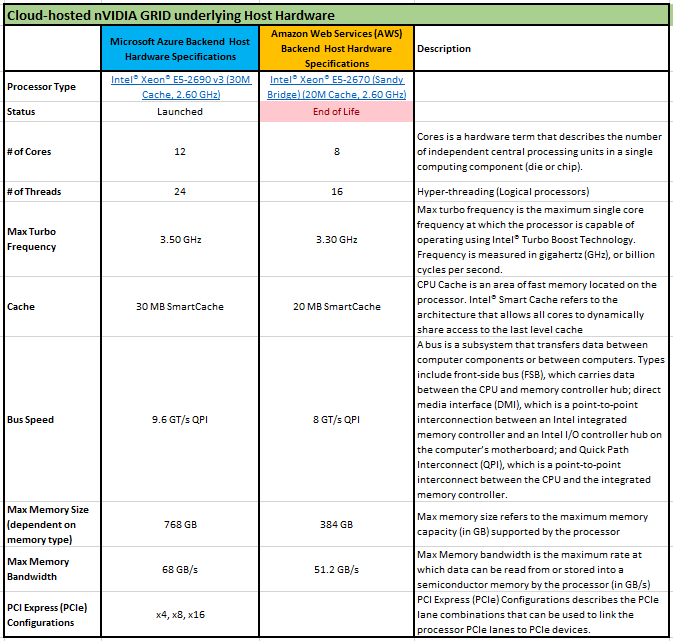 1 Response to Part 2 – GRID on Cloud – Azure or AWS?